It has been several months since Titanic: The Artifact Exhibition first set sail at Richmond’s Lipont Place. But now that the summer crowds have abated, this is the perfect time to plunge back in for a closer look at one of the Lower Mainland’s most fascinating museum-like shows. 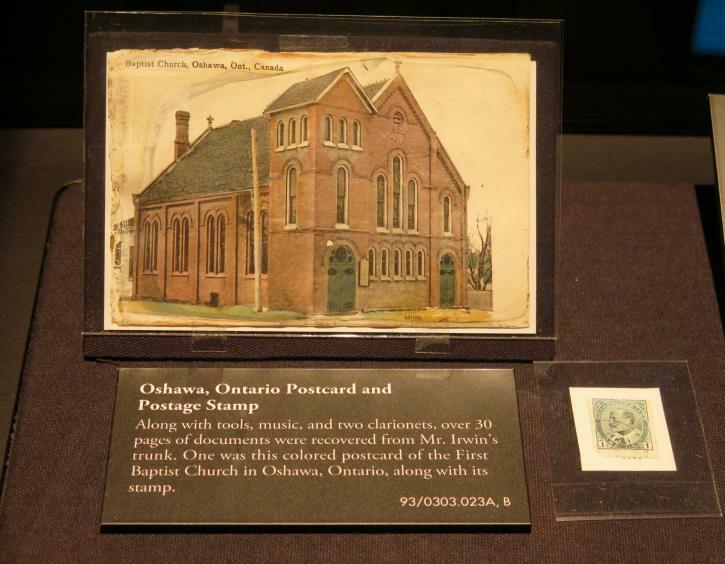 A perfect indoor activity for fall, we returned to the exhibition and took our time perusing the displays. On this second look, we discovered several artifacts with Canadian connections plus some moving stories about some of the passengers on the ill-fated ocean liner. From jewelry and dinnerware to handbags and hairbrushes, there are more than 120 unique items on display in the show’s high-tech glass cases. Some are attributed to the many American or British passengers who were on Titanic’s maiden Southampton to New York voyage. But other artifacts have direct links to Canada. These Canadian items include banknotes of the period, recovered from the vessel during the epic 1990s salvage expedition. These include an ornate $5 Bank of Nova Scotia bill and an equally decorative $20 Canadian Bank of Commerce bill. Both are mottled but each is in remarkable condition considering where they’ve been since 1912. Alongside other Dominion of Canada banknotes, there’s also a pair of Toronto transit tickets on display plus a leather wallet stamped with the logo of the Canada Permanent Mortgage Corporation. But there are two other items linked to one particular Ontario individual that illustrate one of Titanic’s most unusual stories. There’s more to Irwin’s story than meets the eye, though. Although his luggage sank with the ship, he never actually boarded Titanic. He had booked passage with his friend Harry Sutehall but he never made it onto the boat. Harry perished in the sinking, but Howard had stayed up drinking the night before their departure—waking up the next day on a ship bound for Asia instead. Irwin wasn’t the only ticketholder with Canadian links. Nova Scotian Hilda Mary Slayter was heading back to Canada from England where she had been shopping for her wedding outfit. She survived the sinking and married her beau on Denman Island, BC a just few weeks later. But her original wedding dress went down with the ship and was never seen again. Canada represents only a fraction of Titanic’s cosmopolitan passenger list, though. And the exhibition does a great job of showing what an international tragedy the sinking was. 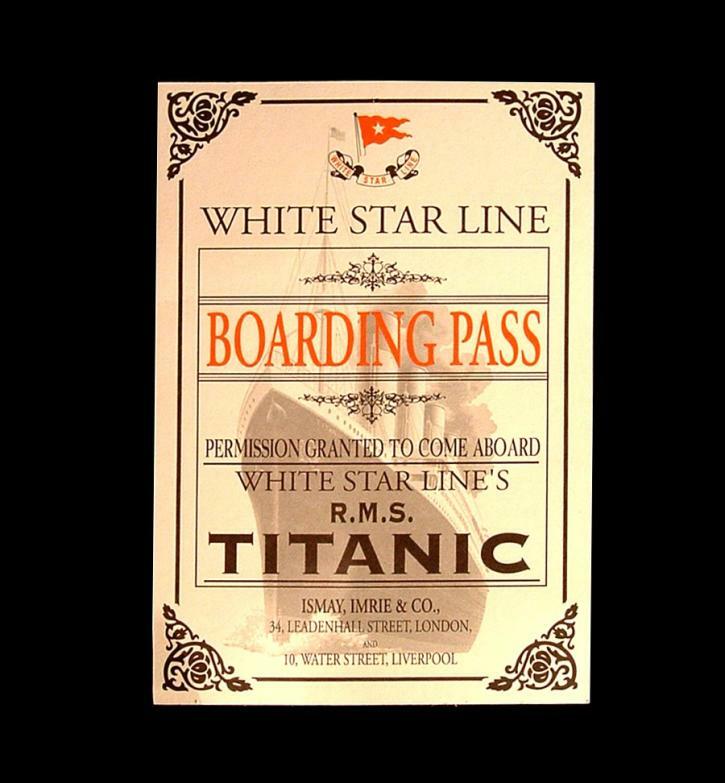 When entering the exhibition, you’re given a facsimile White Star Line Boarding Pass containing the name of a passenger and where they were from. In the show’s final room, you can learn their fate. My passenger? Manuel Uruchurtu from Mexico City. There were three classes on board Titanic and the exhibition treats passengers from each group with equal respect. Some are illuminated with photos and information panels alongside the real-life items they might have handled or seen on board. I learn that First Class passenger Margaret Brown was a campaigner for literary and women’s rights who left England quickly to visit a sick grandchild. 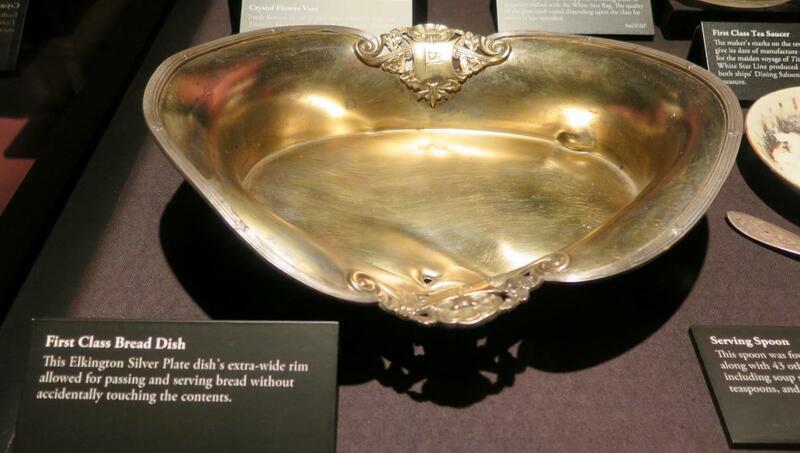 She may have seen the First Class items displayed in the exhibition: a silver bread dish and a crystal vase. She is now one of the best-known Titanic passengers, played by Kathy Bates in James Cameron’s 1997 movie. 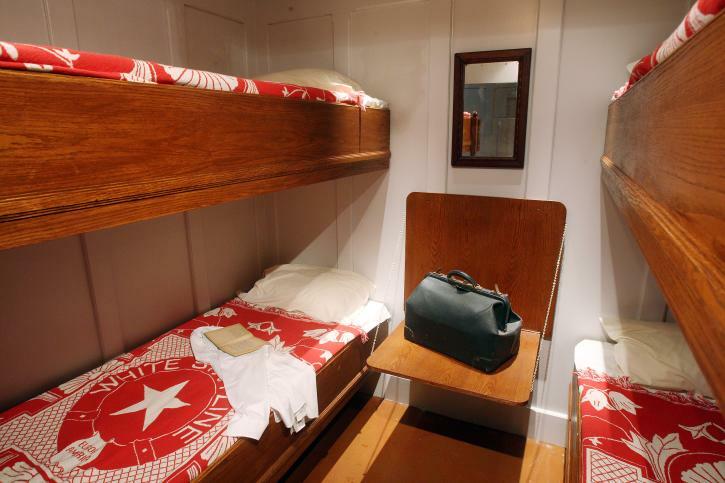 Over in Third Class—there’s a recreated bunk bed cabin on display—passengers including William Henry Allen would have consumed vegetable soup and plum pudding on basic dinnerware adorned with White Star’s red logo. Allen’s suitcase was recovered (although his body was never identified) and its everyday contents are displayed here: woolen socks, spectacles case, and a striped work shirt. More than 1,500 passengers and crew died when the Titanic rapidly sank in the early hours of April 15, 1912. But more than 700 lived to tell the tale. At the end of the exhibition, you find yourself in a low-lit room centered on a scale model of the shipwreck. On the walls are passenger and crew lists, showing their eventual fate. It’s almost an emotional experience to learn what happened to the passenger named on your Boarding Pass. But it’s the perfect way to show the human side of what’s become a near-legendary event. Perusing the lists, I find that Manuel Uruchurtu did not survive. Trying to return home to his wife, he was one of the passengers who had tragically changed to a Titanic ticket at the last minute. Titanic: The Artifact Exhibition runs at Richmond’s Lipont Place until January 11, 2019. The exhibition operates daily from 10:00am to 6:00pm. Tickets cost $17.95 for adults, $15.95 for seniors, and $13.95 for students (accompanied children under the age of 5 are free). Audio guides in various languages are also available. Lipont Place is just across the street from the Aberdeen Canada Line station.